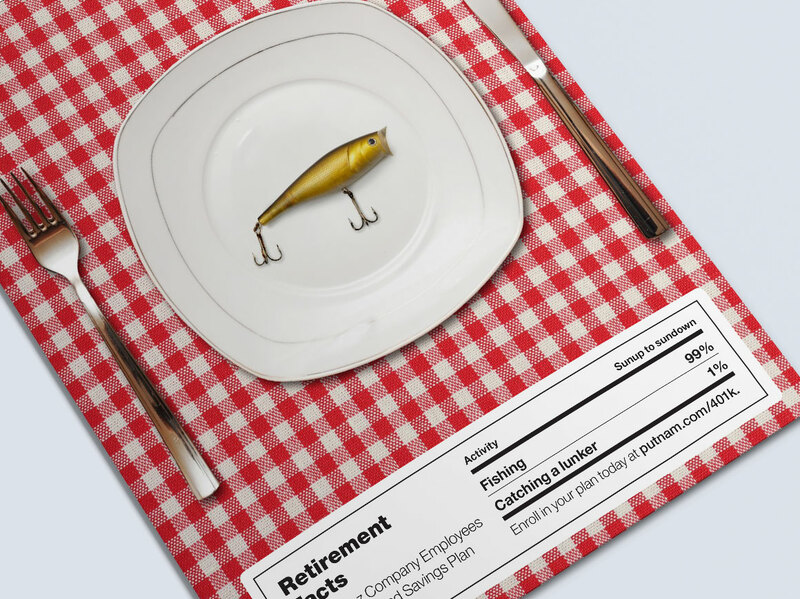 One of Putnam Investment’s services to their 401(k) plan clients was the creation of custom print communications to increase enrollment and participant deferral rates. 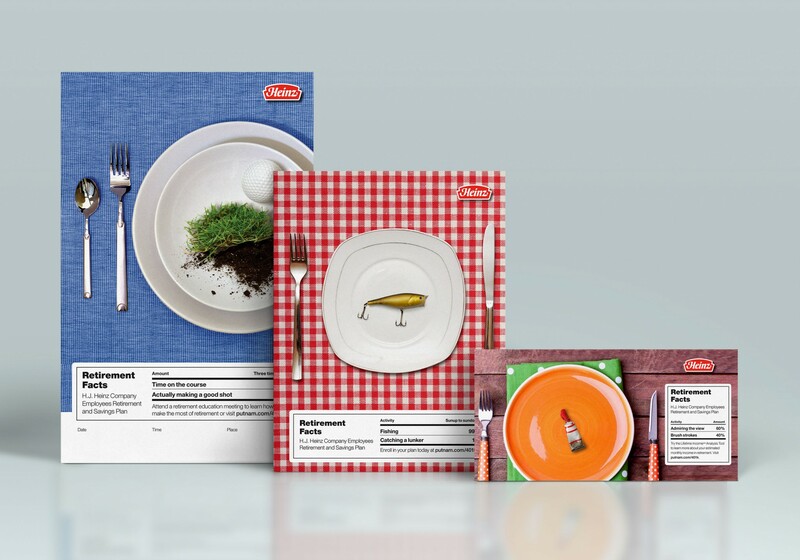 This campaign highlights the world of food, and the Heinz company, through the use of bold place settings. 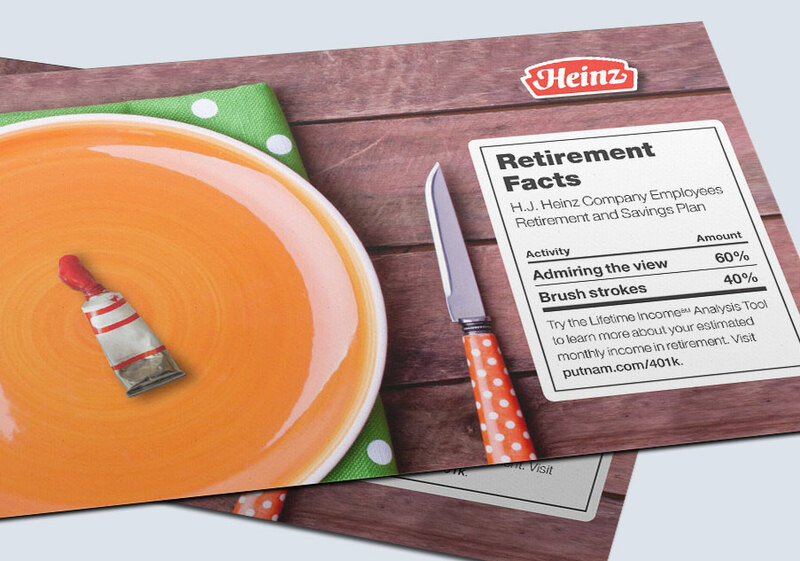 Retirement is front and center, and is represented by objects on the plate that signify a retirement activity. 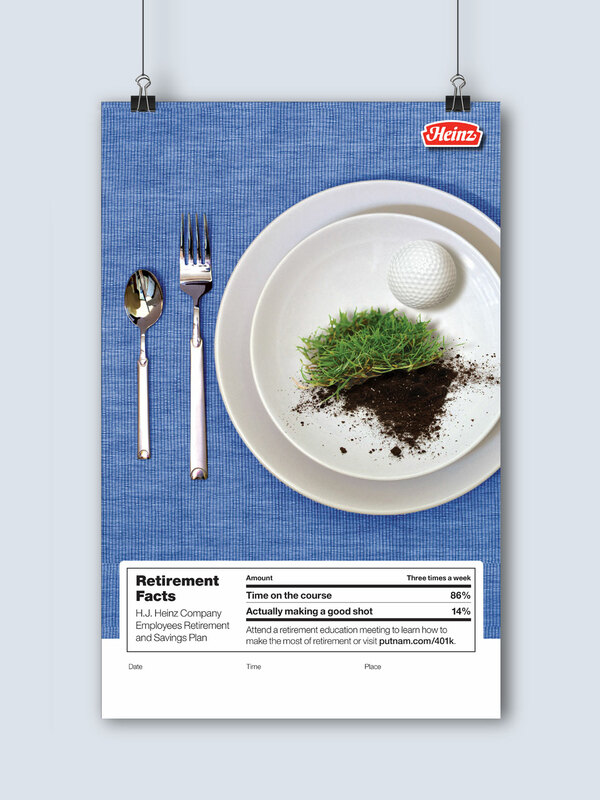 The facts of retirement are delivered in a unique and clever way, playing off the familiar look and feel of a nutritional label.